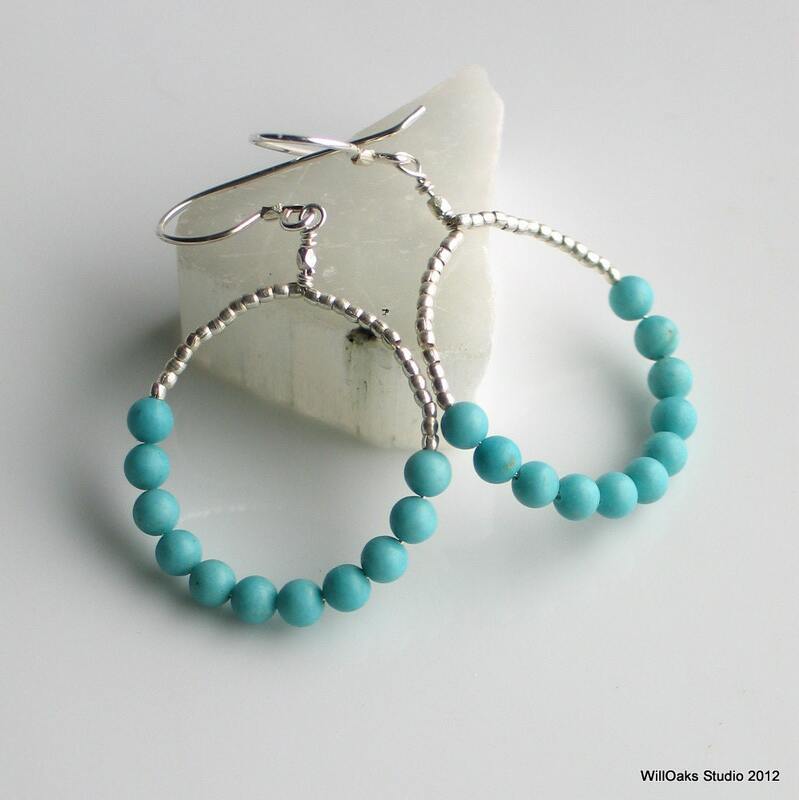 Beautiful robin’s egg blue beads contrast with textured fine silver Thai Hill Tribe beads in my original hoop earrings. 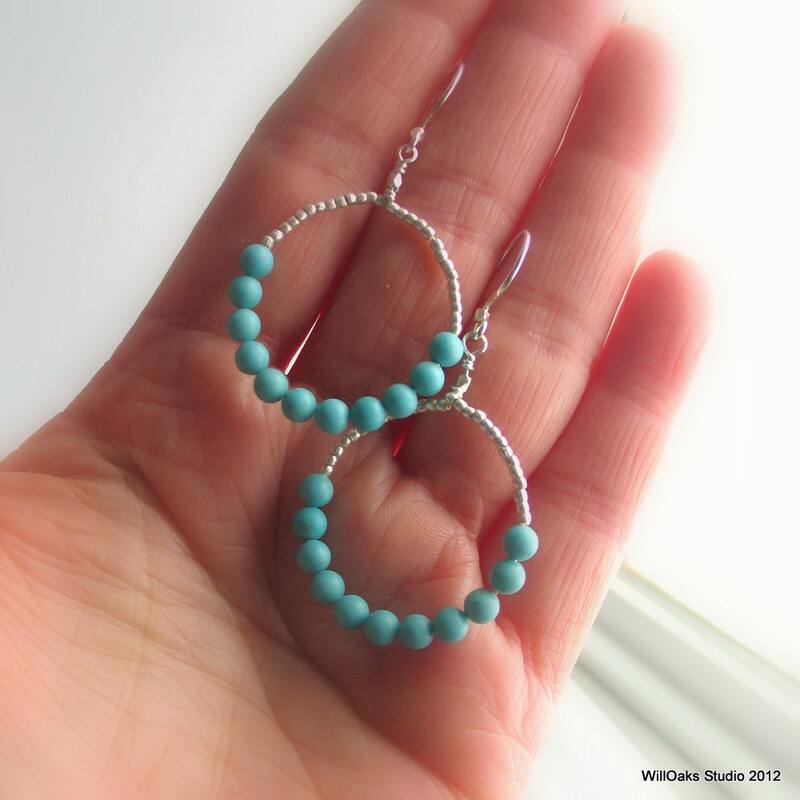 My earring design is handmade of Sterling silver, fine silver, & chalk turquoise. Medium size hoops hang 2 1/4” long from the top of the ear wires. 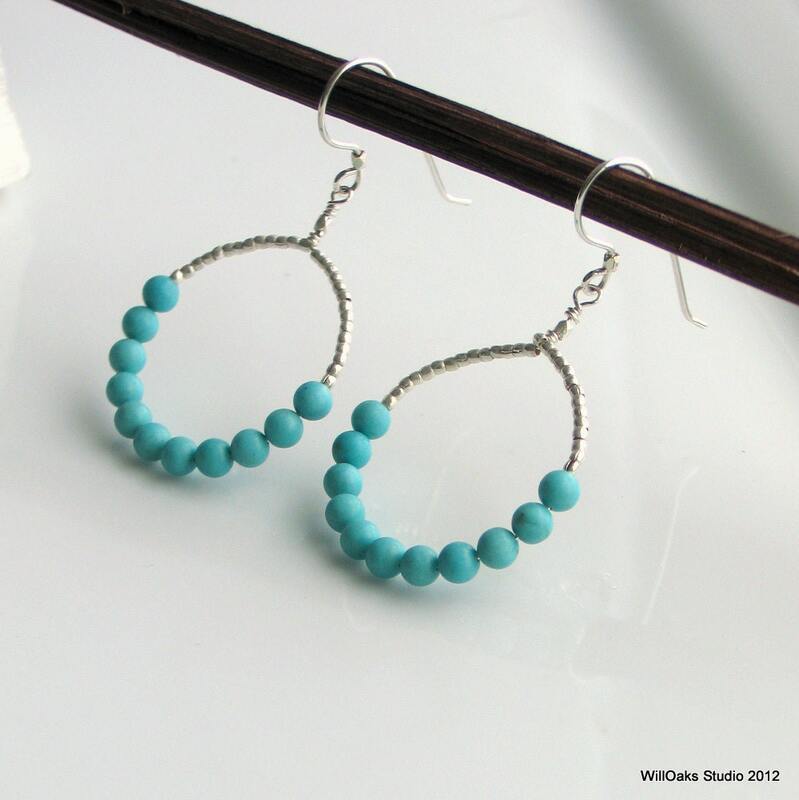 I love the soft blue color of these hoops and they cross seasons and can go from dressy to casual. The tiny, textured Thai beads add an unexpected, subtle texture. 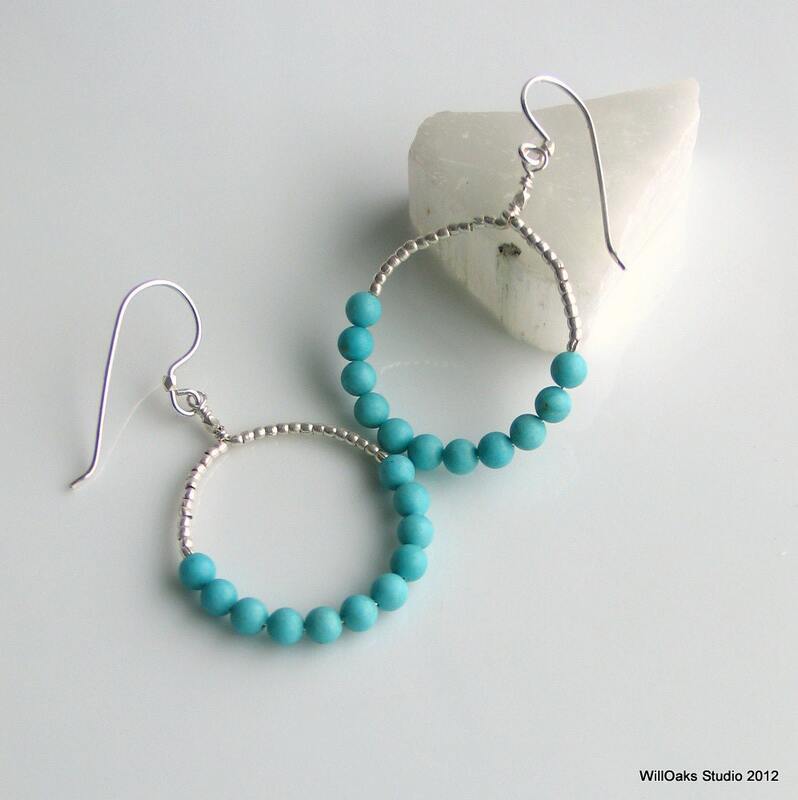 They coordinate well with many of the pieces in my studio, and turquoise and silver are such a classic. 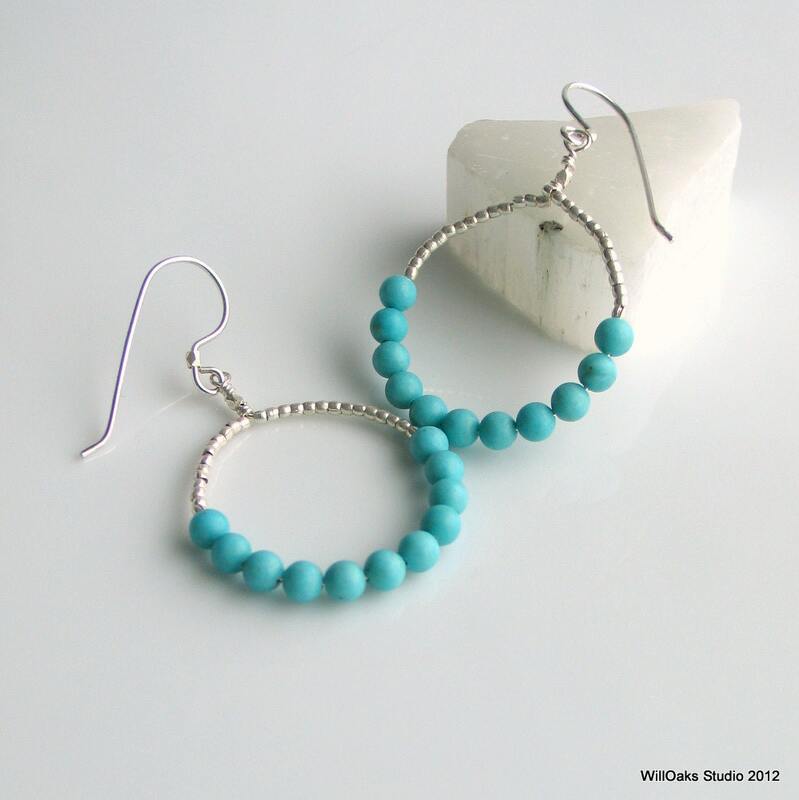 Light weight and quite swingy, these are "go to" earrings for Spring and Summer. These earrings are made to order and usually ship in about 3-4 days, packaged in my signature boxes for giving and for storage.